A boxer bunk room. All photos courtesy of The Boxer. Sports fans will love being around the corner from an iconic stadium. 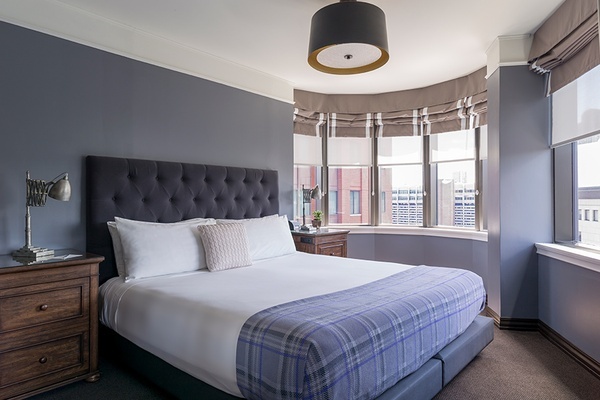 For travelers looking for affordable, well-appointed rooms in an historic boutique hotel in downtown Boston, is a hit. Vibe: Scandinavian functional meets cozy industrial chic in the heart of Boston. 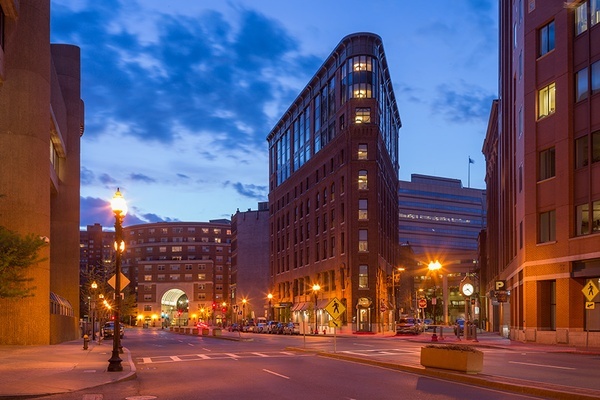 Standout Detail: The hotel is housed in a beautiful '40s-era flatiron building walking distance from TD Garden, the Museum of Science, Faneuil Hall, and the North End. This Place Is Perfect For: Classy sports fans, sightseeing families, pets under 50 lbs. 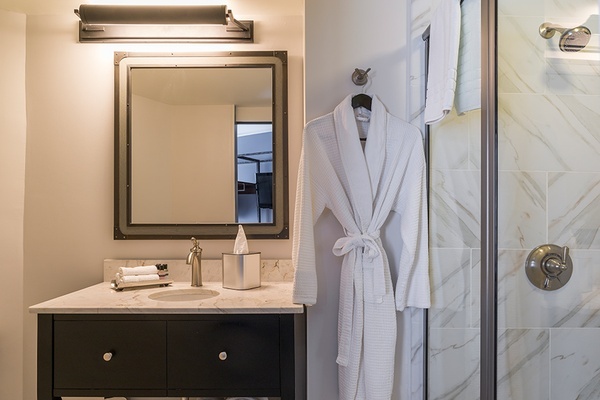 Rooms: Eighty blue slate guest rooms, including junior, family, and ADA-compliant accessible suites, come with mini bars, 32-inch TVs, iHomes, Keurig coffee makers, and free WiFi. On Site: Complimentary bike rentals, 24-hour fitness center, and access to Boston Sports Club nearby. Food + Drink: does locally sourced American breakfast and dinner, as well as beer, wine, and creative cocktails. 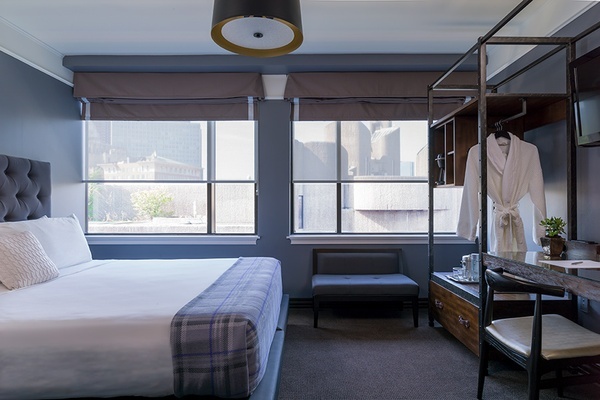 Located in the city's iconic Flatiron Building in what used to be Bullfinch Hotel, the 80-room boutique is the kind of place you could only find in the heart of Boston. 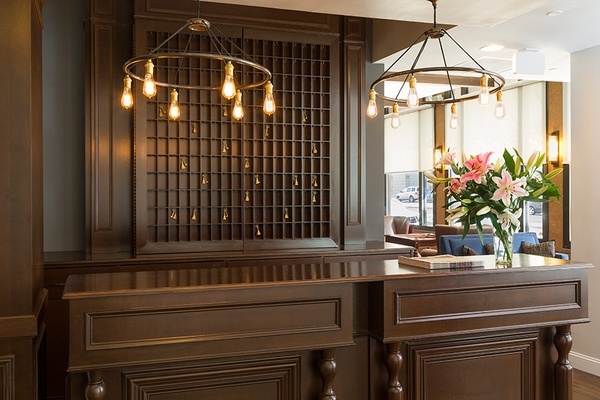 Thanks to a renovation under J. Brice Design ahead of its 2013 opening, the property manages to pull off a modern, industrial-chic aesthetic while retaining its unique historic feel. Above a lobby ceiling adorned with a full-size archived map of Boston from the 1860s, rooms decorated in blue slate walls conform to the building's unique architecture with tufted bed frames, riveted steel wardrobes, 1970's-inspired bedside lamps, and Calcutta marble bathroom tops. Downstairs at Finch, New England classics are served on communal farmhouse tables against exposed brick walls, while pre-game drinks are poured for clientele on their way to take in the best of downtown Boston entertainment. 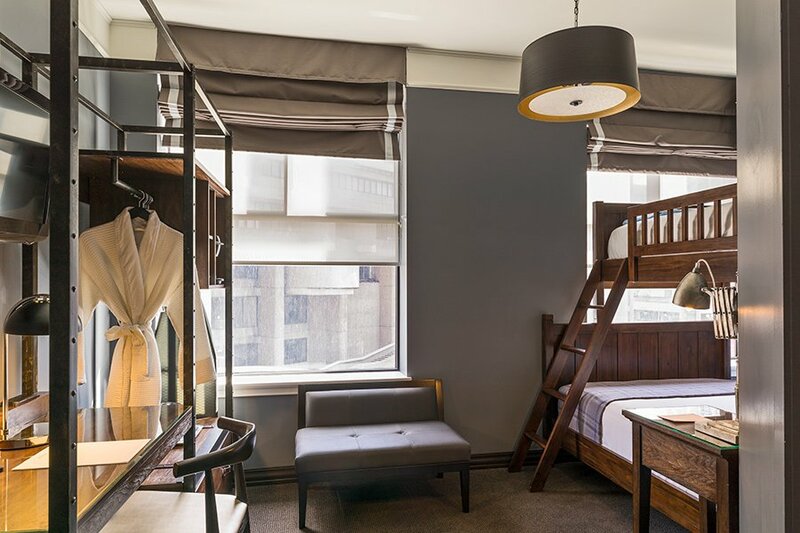 Families looking for one-of-a-kind lodging should call ahead and request the Family Suite, which connects one king room with a suite featuring classic wooden frame bunk beds. 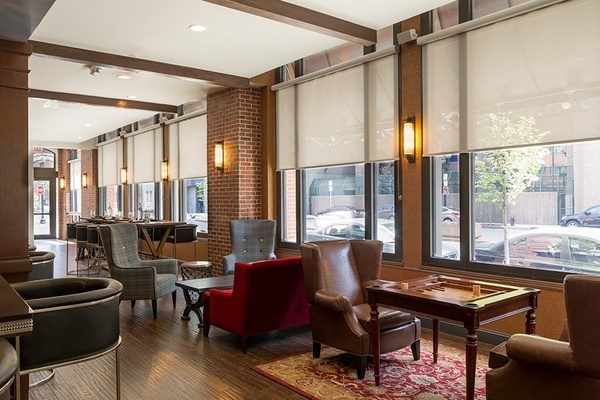 Though such cozy furnishings make it tempting to stay inside and chat with the Bostonians running the hotel, going out for a stroll in one of America's most walkable cities has its benefits. Boston's biggest shops, restaurants, and historic sites, like the Freedom Trails and Faneuil Hall, are right around the corner. The Boxer in downtown Boston. Stay in the area if you want to catch a sports game, brush up on your history, or seek out some old-school Italian food. Otherwise, head out to Beacon Hill if you want window shopping, Newbury Street in Back Bay if you want something nice to wear to dinner, Boston Common if you could benefit from clearing your head, and South End or Kenmore Square for food and drinks. , , , and are all favorites. У нашей фирмы популярный веб сайт с информацией про наращивание ресниц.